on this day 43 years ago, janie patterson & phillip sikes were wed…here’s their story i wrote back in november of 2010.
have i ever told ya about mom and dad? 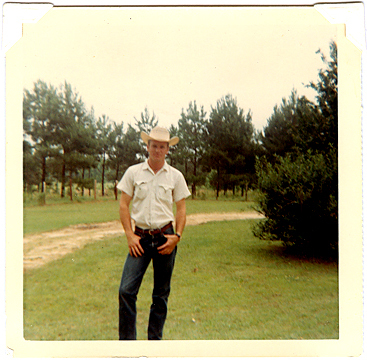 DaD was born and raised in southern arkansas … waaaaaay out in the country. Where the pine trees are tall, the twang is thick, and the Little River dances through the farm. Papa was the county judge and Granny was a nurse…Papa never missed his daily game of dominoes down at the store (there was, and still is, only one store that served as the post office, general store, market, hardware store, gas station, and local domino hall). Granny was famous for her homemade cinnamon rolls and good ole down-home cookin. At every meal, she would serve enough plates to “feed the boys and the ‘stranger at the door’.” There was no indoor plumbing, no air conditioning, and no video games…just wide open spaces, and ponds and creeks and cows and everything else a little boy needs to let his imagination run free. It’s the place we love to be more than anywhere…it’s where we learned to put peanuts in our glass coke bottles. 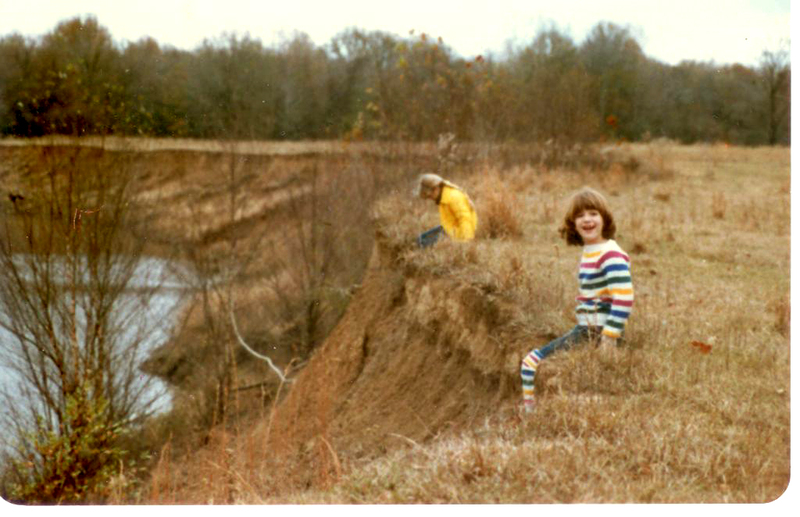 Where we ate orange push-up pops and where we were taught to be good stewards to the land. 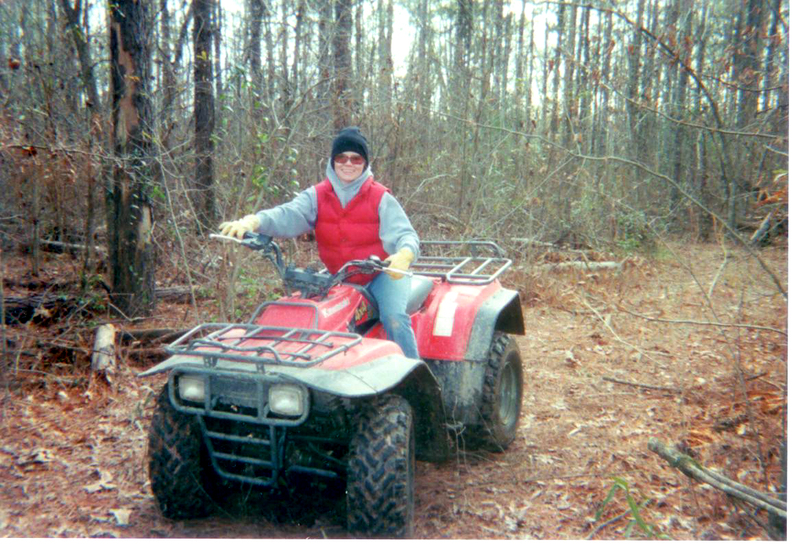 ride a 4-wheeler, and appreciate all of nature. It’s about family. Love. Good times. Being free. Loving life. 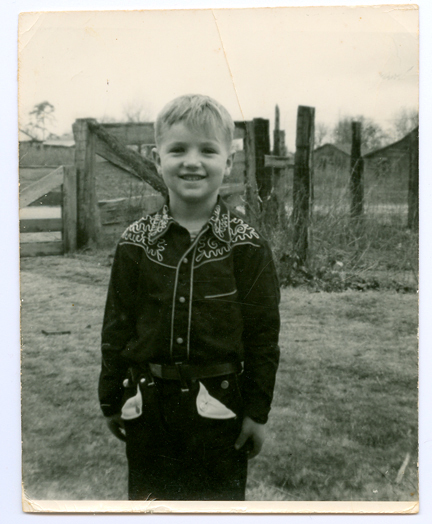 Mom grew up like a texas gypsy…moving from town to town. 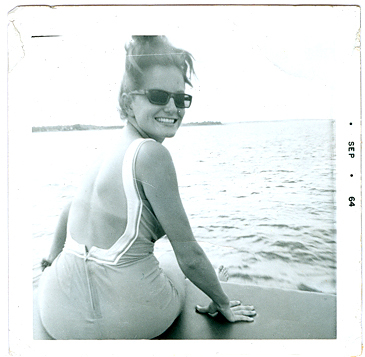 Mom, her older sister, and older brother were raised by a hard-workin’ single mom (that always held multiple jobs at one time). Bargain shopping and thriftstores were a way of life and she developed a serious passion (borderline obsession) for the thrill of the hunt, bargain stores and recycling old into new. She had a wild spirit and a beautiful way of bending the rules. She would spend her summers in Arkansas…and play with a cowboy about her age named Phillip…..
PhiLLip & JaNiE sittin’ in a tree…. 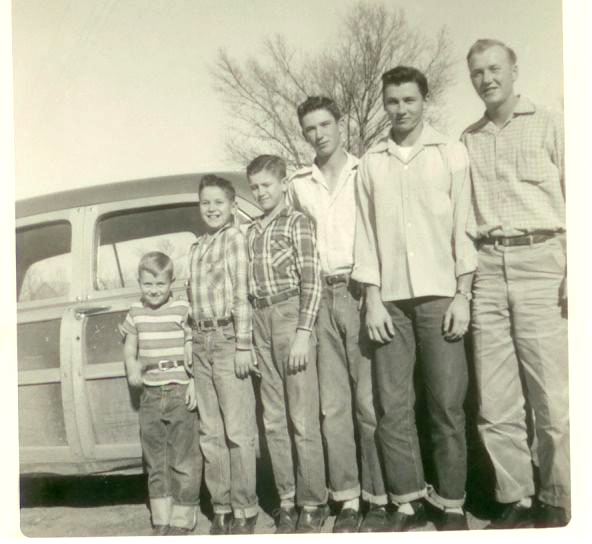 By the time they both headed to their respective colleges in different states, they had spent many summer days together….baling hay, cane-pole fishing, riding horses, having fried-chicken picnics, and cruising in Mom’s brother’s convertible. Life was sweet and good. they wed, became business partners, raised 2 daughters (whom, i would like to add, have never given mom a stress-filled, sleepless, night…ever)…and now find themselves on a series of crazy adventures as their story continues…. off into the sunset they ride with their 2 daughters, 2 grandkids, a son-in-law, a dog named birdie bluebell buffay, a truckload of junk, and no hopes for retirement anytime soon….and we think, they couldn’t be happier. Long LiVe the LoVE story of the COwBoy and the GyPSY!!! What a great story. Love the show!!!! This is the sweetest little love story I have ever heard! And I LOVE y’alls blog!! And all of your merchandise =) It’s so nice to know that there are other ‘threadbare gypsy souls’ running wild out there! thank you! thank you sooooo much!!!! i’m sooo glad y’all like the love story! i’ve had this written foreverrrrrrr and finally decided to ‘let it free’!!! the world must know … the EPiC LoVE SToRY!!! XOXOXOXO to all y’all!!!!! OOOOO!!!! Love love LOVE this more than ANYTHING!!!!!! Beautiful!!!!!!!!! Love me some Janie And PHilliP!!!!!!! THis is amazing!!! Such a sweet post!! What a great story. Wonderful. So glad you posted this! 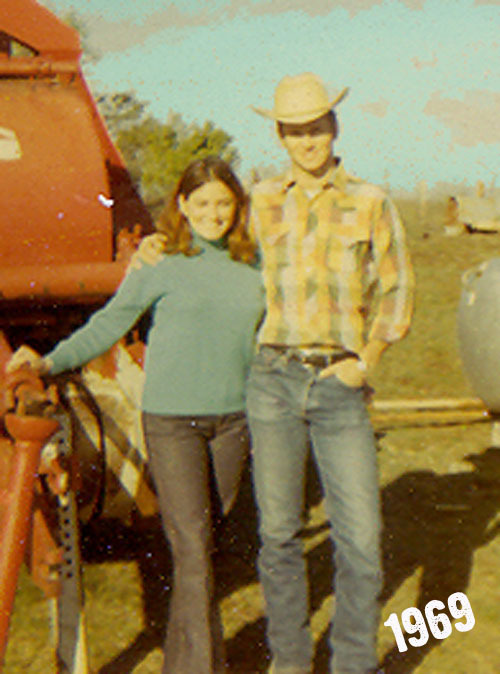 This is such a sweet story of love and country living….simple folks. I just LOVE it!!! A true testament to true love. Look forward to seeing y’all soon……btw, the pictures are awesome! What a sweet story. My parents wed the same year! Glad to see another 41 year love story. AAAAAAaaaaaaaawwwwww…. I LUVED this!!!!!!!! Gives me hope that there actually is TRUE LOVE out there!!!! Love it! What a great story. And the pictures are so priceless. I remember those good ol ‘ days. Life was so simple and fun. Thanks for sharing. Love, Love, Love this story! It’s like something you read in a good chick-lit book! Just wanted to say i too have a daughter named Jolie! She loves when I look at your website and she can see her name on it….she thought she was the only one. keep up the awesome stories. I fell in love with your story, long before I even knew it all! Your friend from Cowboy U-Texas. This is an amazing story! Would make a great book/movie! Your parents and family are an inspiration! Thanks for sharing. That is such a sweet, romance story. You got the beginnins’ of a romance novel! Mebbe ya’ll should publish this story?!?! This gives me hope there is true love out there for the takin! I love the pictures. I know where ya’ll get yer good looks from. Love ya! Mean it! Be p’ticklar! I loved your story….Honestly brought a tear to my eye. I adore a good love story. Not to worry I cry at every wedding. You have such an amazing story and such a sweet family. 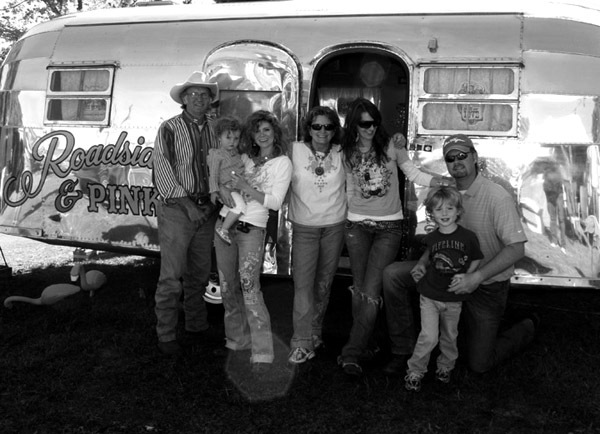 Keep the great stories coming…it give us corporate folks something to dream about…………..oh to live like a Gypsy. Love it, I agree with everyone this is a movie waiting to be made. I know this story!! An actually now there is a post office in Alleene! By the way our kids love, love the tepee u guys built at the cabin. We will not let them touch for fear of them tearing it down! Love the way u told the story, an love the pics. We still go to some of those same places. This is so cute! I loved reading it!! Thanks for sharing it. Loved the story and I looooove all of your “junk”!!! Too flippin’ cute! I’m glad you finally got it out of your head and out there for us to read and be inspired by. Love it, and reposting! This was the most wonderful love story ever, your Mama & Daddy looking so fine. The Gypsy & the Cowboy, the perfect ying & yang for a fabulous junkified life with beautiful baby girls & grandbaby’s to make it all the more perfect. And I want to sit on the edge of the Little River, skippin rocks, thinkin back to Granny & Papa & their 7 handsome sons. I adored the nostalgia of this sweet story & now i know why when we met you were sweet as sweet tea! Love to hear stories like this! Warms the heart. I am a gypsy girl myself!! love love love this story….so many true love journeys are long gone and this story signifies that real love is true and does stand the test of time. Hope my husband and I have many many more years ahead of us just like your cowboy and gypsy. Thank you for sharing! I tell the young kids: Hold out for your dream guy or gal and the rest to go with it. This is inspiring for them too! It happens yet today! It warms my hear to read this beautiful love story. Thanks for sharing it! Reminded me of my own parents and their story, and tempts me to write theirs. Thank you for sharing such a wonderful love story. . .our kids need to see that two people can really make that commitment to stay together forever! Yes!! Love It Too, First thing I thought was the makings of a great Tee, and those great dated photos!!! 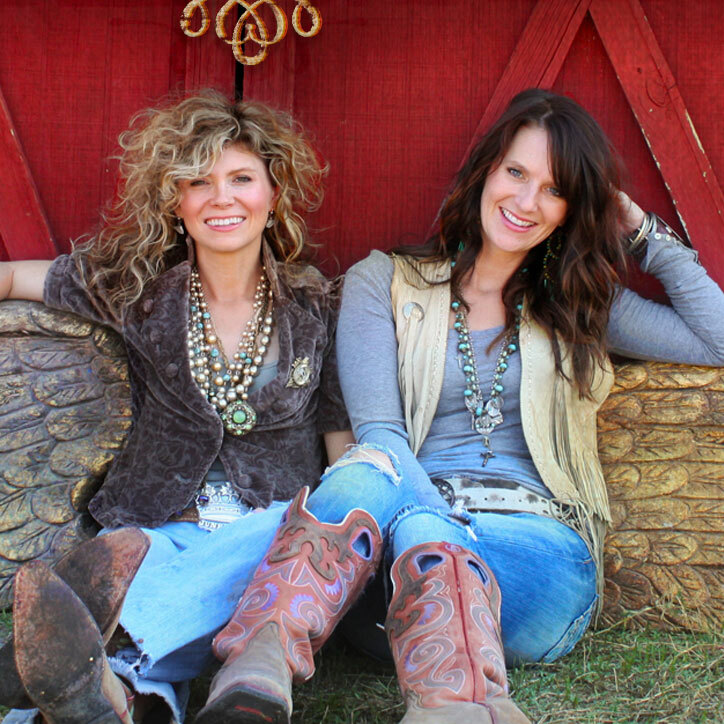 “cowboy & the gypsy” I would luv to wear that!! Now that is a nice simple down to the facts story bout some folks who know how to live. 🙂 I love stories like that. Life bein lived for family and as you ride towards the sunset you know it’s just gonna get prettier. And you love that the family you built is enjoyin it too! Bella…bellissima… beautiful story of family love… you hope that this light goes out of family not never…. Y’alls whole life reads like a fairy tale and this proves it. Once upon a time God had a plan and getting to read about it makes me happy. I love it when a plan comes togethere and I really love a happy ending! P.S. 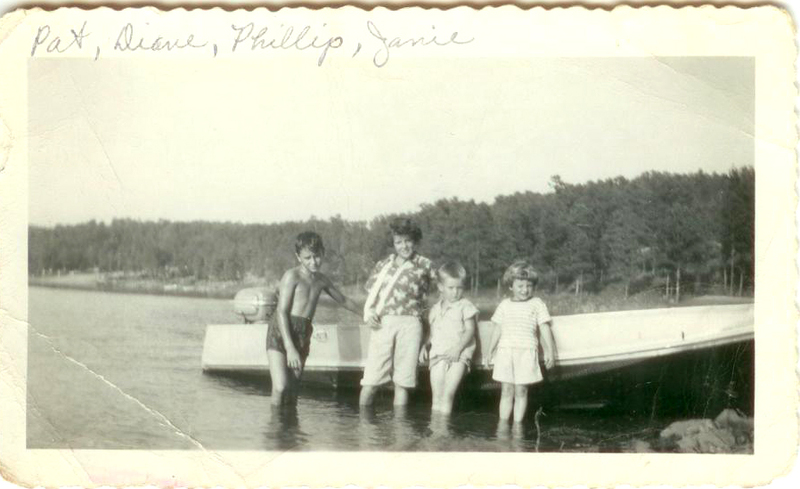 Janie’s smile hasn’t changed a smidge…maybe just bigger! P.P.S. And they lived happily ever after. Love this fabulous story. My husband and I married in 1969. You have inspired me to write our story for generations to come. You are blessed with a beautiful family and hope you all have many happy years together. I love it, so sweet and romantic. Sometimes there really are happy endings! Reminds me of a little love story I know…..except it’s about a gypsy and a punk rocker! This is wonderful! Thank you so much for sharing their story. Love the story and better yet love your family!!! Also love the fact that ya’ll are so close like our family…it is so special……Life is too short not to be any other way!! Jolie – reading your sweet family story reminded me of the plaque that reads….”All because two people fell in love……” Maybe you need to create one that reads “All because the Cowboy and the Gypsy fell in love….” or “Definition of a Prairy Tale: When the Cowboy and the Gypsy fall in love.” Or some such derivative……Agree with what others have said, no wonder you girls are so pretty – your parents are such a handsome couple. WOW. I absolutely want a story like that. Thank you for sharing! Wow… so cool… absolutely love it! Many thanks for sharing your fun’ loving story with us Jolie! Your parents show the reason all of this Gypsy Family make it work so well sharing your love and passions with their daughters. You are so lucky to have grown up with the lots o’ land pleasures. Mama tried and your Pop tried and IT WORKED! Sweet Story!! Now if Miranda would turn it into a song it would be complete!! oh my goodness gracious!!! thank everyone sooo much for your many sweet words! i had no IDEA this lil story would touch soooo many souls out there in cyber-land! we hold the farm and all of it’s stories so near and dear to our hearts and i’m so honored that y’all feel the love! THANK you sooooo much for letting me know you’re listenin’….and that you believe in happy endings…as do we! 🙂 long live the love story! XOXOXOX! Girls- You have an amazing family- as you already know! Thanks for gracing our Barn on Saturday….to see all of you so close gives others the desire to connect more with their families. Your parents are amazing and a shining example of what God wanted marriage to be- I’m glad they have grandkids to show their never ending love to now as well! 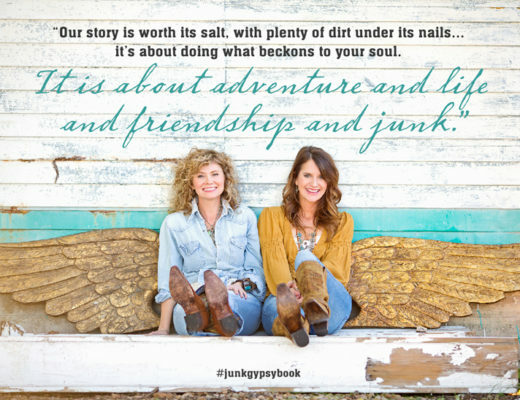 Long live the Junk Gypsy family!!! 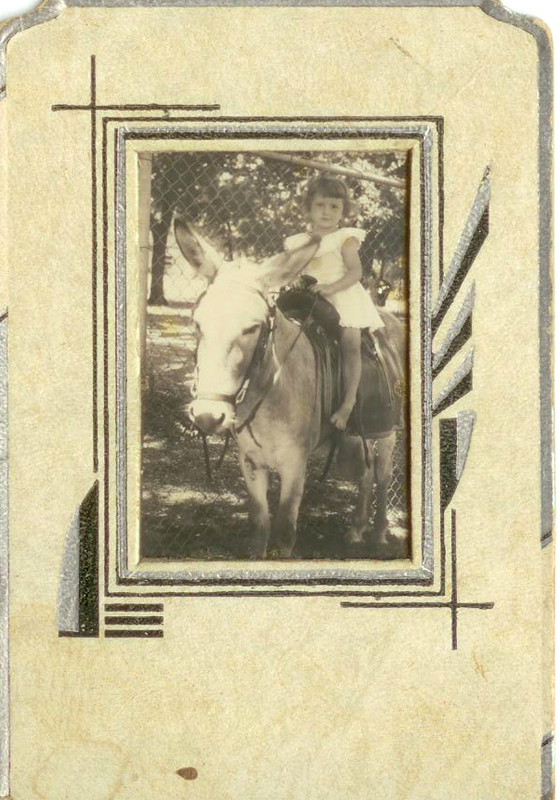 yourn story brought back many fond memories of my own childhood.thanks for sharing.just an old texan. It’s nice to know that the real american dream is still alive…. Thanks for taking the time to share and more so thank you for my baby girl that amie blessed me with 3 years ago. I named her Gypsy and she is my world…..
Ohhhhh, you made me do the “ugly cry”! It’s all good.. what a beautiful story! I have always felt like a part of your family now I am very blessed to say you are truly a part of mine! (you do have Indian blood in you, right?) Love Always to MY family…. Absolutely Romantic!!! Thanks for sharing a part of yalls life! God Bless Yall!!! Thanks for sharing such a sweet, romantic story. And, I love the photos. Beautiful family. What a great story. I too was raised with thrift stores/recycling old into new. Still love the thrill of good junk (I would never call it an obsession 😉 Thanks so much for sharing! Great life. I’m originally from South Louisiana and we put peanuts in our coke bottles also. Your the first I know of that can relate. Ha! Love it. People don’t know what they are missing. BeAutiFul STorY….luV tHe wAY u wRiTE…..LoVE IT !!! Great story & the pics are priceless! A simpler way of life. June Simms—–My mom survived Non Hodgkins Lymphoma cancer! It’s always such a blessing to hear the stories of family lineage and love. Thanks for sharing with us! Those are some great pictures, too! Damn good story. Just what I needed to read tonight-Thank you. Thank all of you- Happy New Year! Hope y’all have it ALL! What an inspiration ! Loved the story! God, family – the rest can wait! A true love story and an inspiration to all!! We just love you guys–thanks for sharing. The progress on the store is looking good and we can’t wait for it to open! Keep up the good work!! Thanks for sharing this wonderful story! Congrats and happy anniversary to the cowboy and the gypsy! I tougher than a old army boot and this brought a tear to my eye. Happy Anniverary to you both. 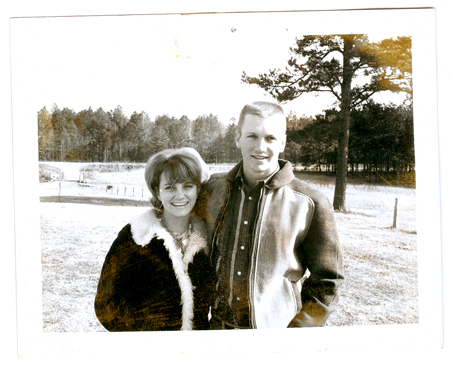 I tear up everytime I read this blog post about your parents, big ole tears…Love their love story. Thanks for sharing their story. Love it! Happy Anniversary ! I still remember them most from AJ’s in Overton and Henderson! Fantastic story. Congrats on the anniversity. cutest story i’ve ever read! Their story is sooo sweet! They are truly lucky, there are just not that many love stories that last today, they have been blessed. Great story. Love even more you got a little bit of south AR linage running thru those veins! Makes it even sweeter! Little River’s not far from me! Goodness gracious no wonder y’all have a reality show! Beautiful story – all of you are truly blessed. Love the show!!! Loved Pic’s and Story. Brings back memories or all our families.. I LOVE this. Kyle & I just hit our 4 yr wedding anniversary & 10 yrs since we started dating & we just reflected on how blessed we are. Momma & Daddy Sikrs did something right b/c they raised 2 determined, hard-workin, God-fearin’, strong & saucy gals!! Y’all inspire me to keep the vision & keep on workin’! Great post! CONGRATS on all the good stuff happenin’. Y’all have earned it! thanks so much for tellin ya’ll story! it touched my heart! I love this. I especially love that your parents have known each other since they were children. That is super special. Thanks for sharing with us. Beautiful story~~Loved reading it all over again! Congratulations, guys!! Happy, Happy Anniversary! I remember when you first posted this 3 years ago, Jolie! 🙂 Ya know, if this junk gypsy thing doesn’t work out, you should really look into writing,) You’re pretty good at it! .)) Tell your sister hi for me……. Wow, I was watching your show and heard Phillip Sikes from Alleene AR, and I about died. 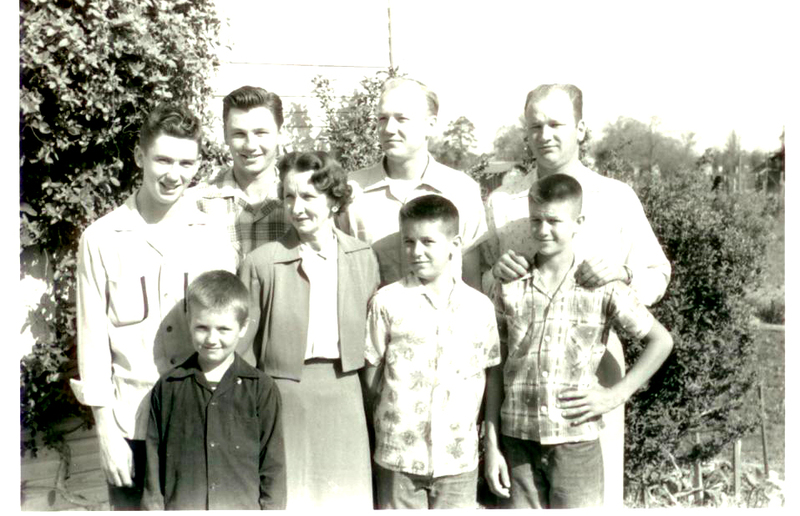 My dad was Troy Reed, uncles were Marshall, Roy (Ish), aunt Laveena, and you must know my cousin Johnny Reed. Sometimes it’s such a small world. My dad and uncles talked about Ray Sikes ALL the time in their “growing up” stories. You have a wonderful show. Would love to hear from you guys, and tell your dad you heard from Troy Reed’s daughter. Too funny Rhonda…..my brother in law was Ellis Stafford…also from Aileene and he and Johnny Reed were the best of friends…along with Phillip. 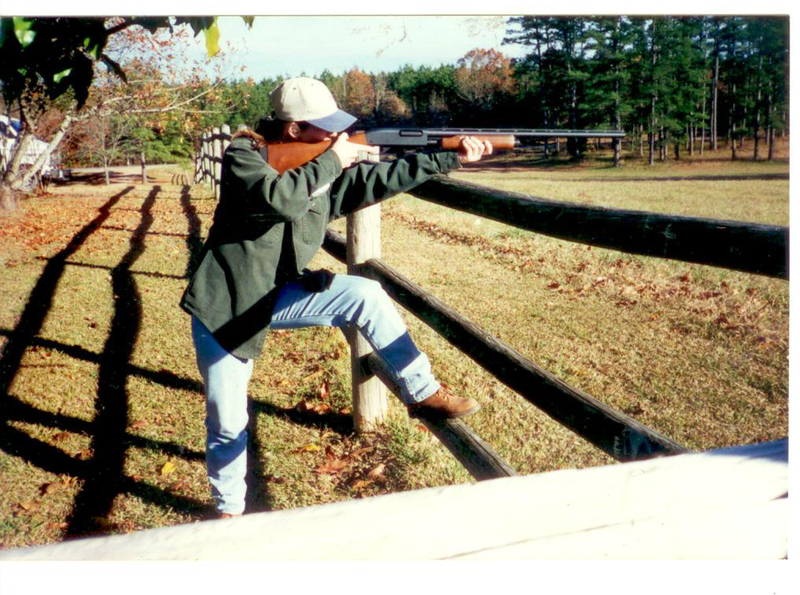 I even met Johnny down at the deer camp a few years ago….small world. I live in Washington State, but go back to Alleene every year. Was just there a couple of years ago for Uncle Marshall’s funeral and burial in the Alleene cemetery, followed by my uncle Ish this last fall. My dad Troy died in Dec. 1999. Is your grandpa Ray still alive? I go to see my cousin Johnny Reed every year, and visit Alleene. We also go to the Alleene Reunion every year Memorial Day Weekend. If you have been there in the last 25 years, the old Alleene Museum was the cabin my Great Grandparents had on Little River. My dad designed and had built the war memorial by the Community Center, and was so proud of his Alleene roots. My gosh, Ray Sikes family. Hope you email me back. What a wonderful love story! Sounds like they grew up in a wonderful, ideal time! They were and still are such a good looking couple. No wonder they had to beautiful daughters! I wish my brother in law Ellis were here to read this…He and Phillip were close friends and grew up in Alleen together. He passed away in January and Phillip continued to call and check up on him until the end. I enjoyed getting him to watch your show…we would watch together when he was sick. Thanks for the great work…and for giving Alleen another reason to be proud!!!! !